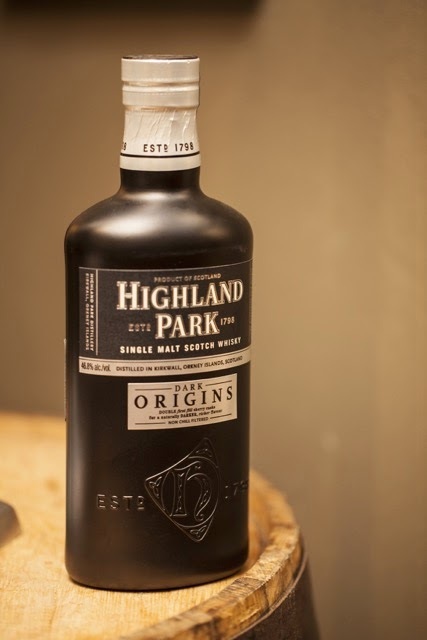 After months of waiting, South Africa got its chance to sample Highland Park’s newest release, Dark Origins, when it launched at the Sanlam Handmade Contemporary (FoodWineDesign) Fair at Hyde Park Corner on November 6. Attendees will have to opportunity to purchase the whisky at the Highland Park stand until the conclusion of the Fair on November 9. Highland Park’s new core expression is inspired by the cunning spirit and courageous personality of its founder, Magnus Eunson. Dark Origins is a stunning, non-chill filtered single malt with an ABV of 46.8% that uses twice as many first fill sherry casks than in the classic Highland Park 12 year old. This results in a naturally darker, richer flavour with sherried spice, a chocolate twist and the signature sweet smoke fans of the Orcadian elixir have come to know and love. South Africa’s allocation of this exclusive bottling has just arrived in the country and will be available at selected outlets in limited numbers. Those attending the fair will be in the fortunate position to taste a very limited amount of samples and purchase bottles at the Highland Park stand, where there will also be a few visual and sensory experience surprises. 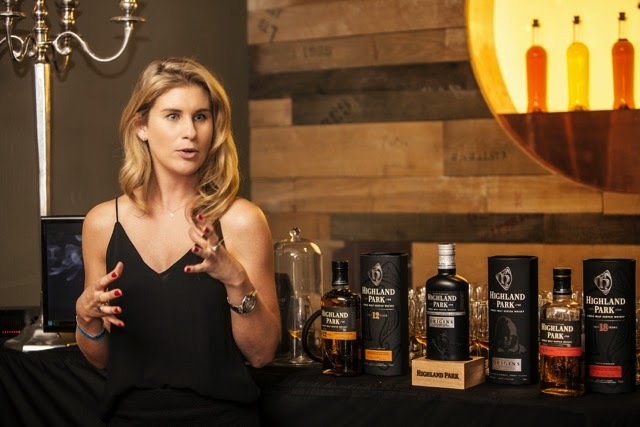 “This is a release that many whisky lovers including myself has waited in anticipation for some time,” says Candice Baker, brand ambassador at The Edrington Group. “The floral peaty nature of the spirit, combined with the fruit and spice contribution of the sherry casks, is sure to be very popular. Dark Origins is also unique as the first spirit in the core range that does not carry an age statement, freeing up the whisky maker to focus on taste alone. Highland Park has released a number of no-statement whiskies in global travel retail and the enthusiastic reception of these expressions provided proof that the market was ready for Dark Origins. Highland Park is one of the few distilleries not using distiller’s caramel, which means that Dark Origins takes its natural colour from the interaction between spirit and cask. Highland Park prides itself that its casks consistently rate amongst the best in the industry. The use of twice the number of first-fill sherry-infused casks imbues the whisky with a naturally darker colour, supporting the Dark Origins theme and indicating the rich taste drinkers can expect from the spirit. The Dark Origins name of the whisky was inspired by Magnus Eunson, who established a secret bunker in the hills of High Park in Orkney. 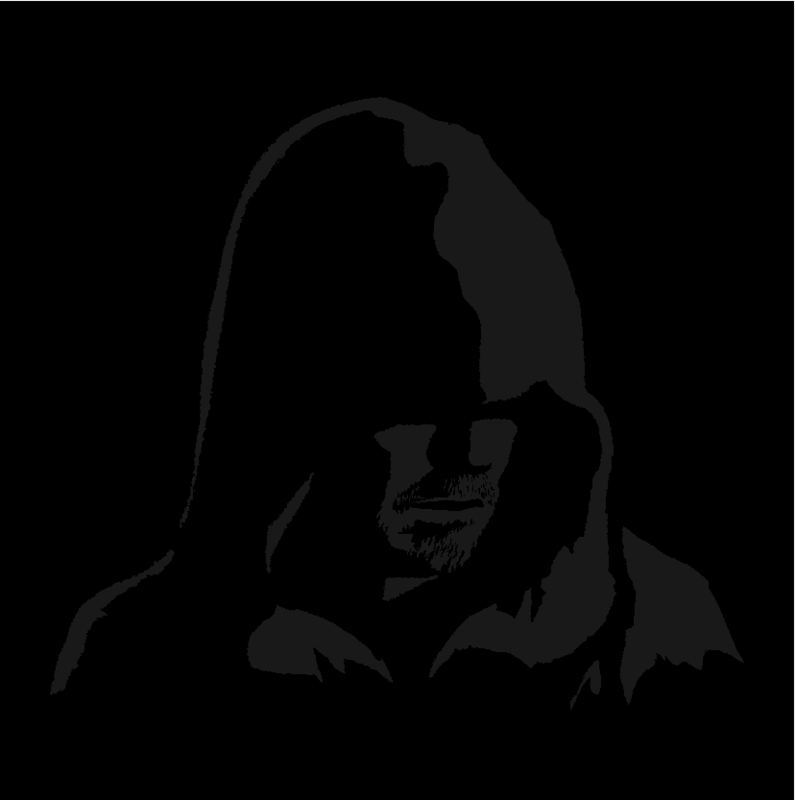 He became a famed dark distiller back in the late 1700s, creating whisky for the people of Orkney to offer relief from the villainy of the tax collector. By day he worked tirelessly in his church providing spiritual guidance to the people of Orkney, but in the dead of night, he hand crafted what was to ultimately become the best spirit in the world, warming hearts and uniting all who tasted it. Don’t forget: You have to opportunity to purchase the Dark Origins whisky at the Highland Park stand until the conclusion of the Sanlam Handmade Contemporary (FoodWineDesign) Fair on November 9. Also, Let us know what you think of the whisky. We LOVE it! #SCCREW – Chilling in the Lost City!